Experian has launched their own mobile app, providing free access to your Experian credit report, as well as free credit monitoring and alerts. The Experian Free Credit Report app is currently in beta, and available on both iOS and on Android. In addition to showing your free credit report, including your credit accounts, inquiries and public records, the app also provides free alerts when a new account is opened in your name, an address is changed, a public record is listed, or there’s a new hard inquiry. Your credit report is automatically updated every 30 days when you sign in. 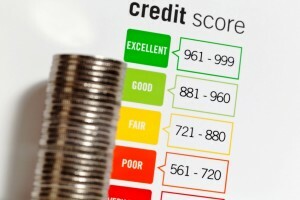 Not so long ago, it wasn’t possible to get a copy of your credit score without paying for it. Fortunately, due to the advocacy of consumer watchdogs and agencies such as the Consumer Financial Protection Bureau, it’s become easier than ever to access your score. Now, a number of banks offer this information for free to their customers. Up to this point, however, nearly all credit card issuers required an existing relationship in order to get a free score. Discover is looking to change that, once again taking a leadership role in expanding credit score access. In 2013, it was the first major credit card issuer to provide free credit scores (from TransUnion) to their customers on their monthly statements. On Friday, it is announcing it will become the first credit card issuer to provide free credit scores from Experian to the general public. Slowly but surely, it’s getting easier to grab a copy of your credit score for free. Thanks to some nudging of the banks by the CFPB and others, more consumers than ever can now see how their credit rates without having to pay for it. The latest news comes from Bank of America and Wells Fargo, where eligible customers can now enjoy expanded access to their FICO score for free. In addition to its role as a government watchdog, responsible for protecting consumers in the financial sector, the Consumer Financial Protection Bureau also offers a wide range of resources to educate the public about various personal finance topics. One of those resources which the CFPB publishes on an annual basis is a list of consumer reporting companies. This week, the CFPB put out its 2016 edition of this list. 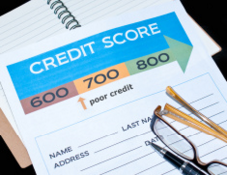 Under changes announced by FICO last week, about a million consumers who work with qualified nonprofit credit counselors and participating government entities will now be able to get their credit scores for free. They will also be able to get a free copy of their credit report from Experian, but not from TransUnion or Equifax. Under terms of a new settlement announced today, the big 3 credit reporting agencies–Equifax, Experian and TransUnion–have agreed to follow new guidelines for responding to customer disputes and also to reduce the negative effect unpaid medical bills have on credit scores. The settlement comes after months of negotiations with the New York Attorney General Eric Schneiderman. The dawning of the new year marks a popular time for people to make new resolutions. And one good financial resolution to make would be to check your credit report and score on a regular basis. These days, there are fewer excuses remaining to not be doing this. Not only are there reports of data breaches happening seemingly every month–the latest being from Chick-fil-A–but it’s now easier than ever for consumers to get a hold of their credit report and score for free. Yesterday, Home Depot confirmed that its payment systems have been breached, apparently by a new variant of the same malware responsible for the headline-grabbing Target data breach last December. At risk appears to be the payment information from its nearly 2,200 US and Canadian brick and mortar stores. Home Depot believes, however, that its stores in Mexico and online transaction data from HomeDepot.com were spared from the attack. It also does not believe that debit card PINs were impacted. The home improvement retailer reports that it is investigating transactions dating back to April 2014. It is also offering free identity protection services for 12 months to any customers who may have been affected by the breach. Last week, Fair Isaac Corp, the company behind the industry-dominant FICO scoring model, announced that it would be making some key changes to its scoring system in the latest iteration of its model, dubbed FICO Score 9. The revisions, set to take effect this fall, will alter the formulas used to generate the credit scores that are used in 90% of US consumer lending decisions. Among the new changes: 1) the new FICO scores will give less weight to unpaid medical bills and 2) the new scores will no longer penalize consumers who have had their bills settled with a collection agency.